Many management consulting firms offer its clients to increase the value added to their business by introducing best business practices in the strategic and operational management. They do an assessment and then hand off a plan. Once the project is finished, people can revert back to their former processes that include waste—or teams may need to make necessary changes and inadvertently add waste back into processes. At NearSoft, we delve deeper. We work hand-in-hand to transfer knowledge, advance thinking, and propel your team’s capabilities to a whole new level. By maintaining automated control over a process with Work Process Management, companies can have a much better chance of reducing waste for the longer term. Standard work processes become embedded into the Manufacturing Operation Management system, which can take lean initiatives to the next level. 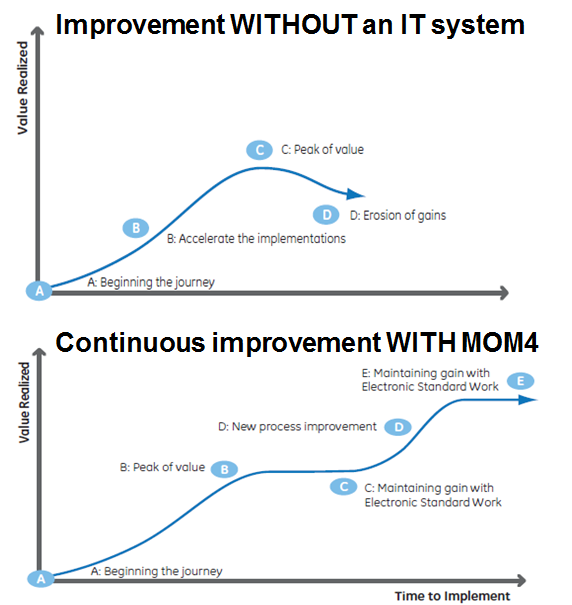 With true standard work and an electronic environment for Kaizen, momentum always remains high, waste is eliminated, work processes are monitored—and the gains grow year after year. The Business Consulting activities can be carried out as the first phase of a delivery project, preceding the system commissioning phase or as a stand-alone study. For most MOM projects, at least some of these activities are carried out in order to have reliable project budget and timeframe estimations. The main objective is to provide the customer with insightful, reliable and practical technology advice for optimal implementation and deployment of a computerized Manufacturing Operation Management system in the operational environment.